INDIANAPOLIS, IN, April 11, 2019 /PRNewswire/ – TRANSTEX LLC, a leader in the development and manufacturing of aerodynamic solutions and fleet safety technology for commercial vehicles, announced today the acquisition of the TopKit and LeadEdge Top Fairing assets from SmartTruck, a precision aerodynamics company based in Greenville, South Carolina. The transaction represents an important strategic opportunity for TRANSTEX as it fulfills its mission of providing customers with leading-edge solutions that maximize fuel savings. The TopKit, which is EPA SmartWay® verified and C.A.R.B. compliant, redirects air towards the rear of the trailer to reduce drag, and benefits dry vans, reefers and straight trucks with swing or rollup doors. The LeadEdge improves the airflow between the truck and trailer or two tandem trailers. This asset purchase complements TRANSTEX’s EDGE aerodynamics product line. For example, the new combination of EDGE Skirts™ and TopKit enables trailer manufacturers to certify their trailers under C.A.R.B.’s GHG Phase 2 Regulations in the USA and Canada. Exciting News: E-SMART in Today’s Trucking! 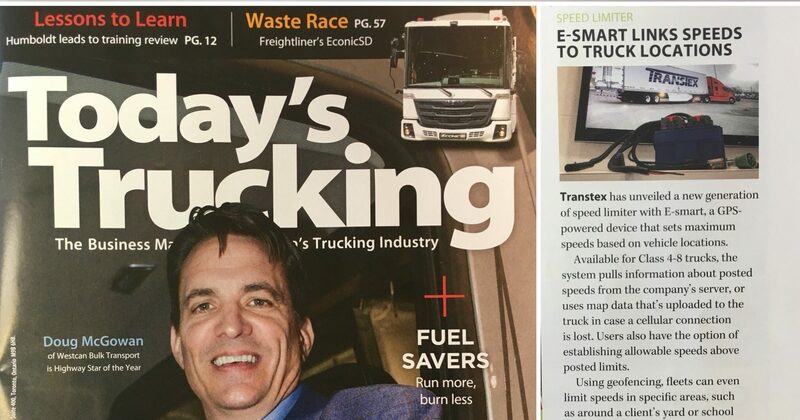 TRANSTEX‘s new Speed and Fuel Management Solution was featured in the PRODUCT WATCH section of Today’s Trucking! Grab your copy of the June issue and flip to page 59 to check it out. 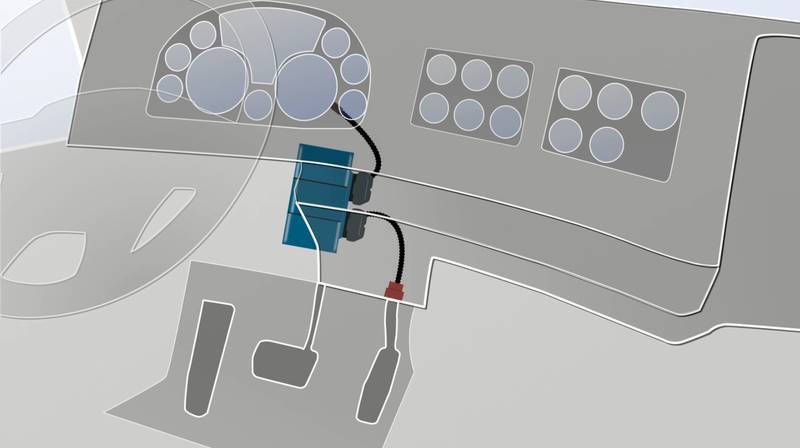 E-SMART gives you something telematics cannot: complete control. The device offers your fleet an innovative solution to increase safety and improve fuel efficiency through active driver control that mitigates dangerous behavior and reduces operating costs. Calculate your savings with E-SMART here. TRANSTEX recently appeared in an article by Truck News & Truck West! 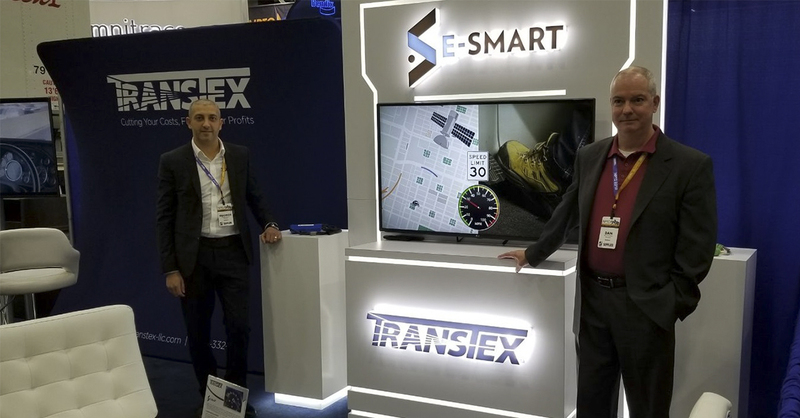 Featured in the article is E-SMART, TRANSTEX’s Speed & Fuel Management Solution. TRANSTEX recently appeared in an article by Today’s Trucking! 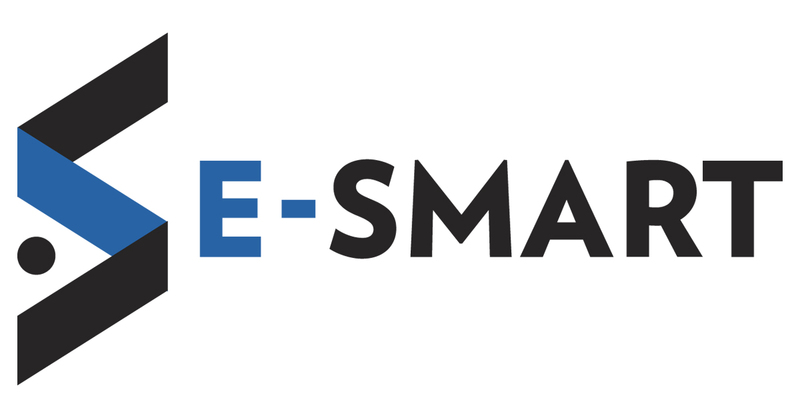 Featured in the article is E-SMART, TRANSTEX’s Speed & Fuel Management Solution. 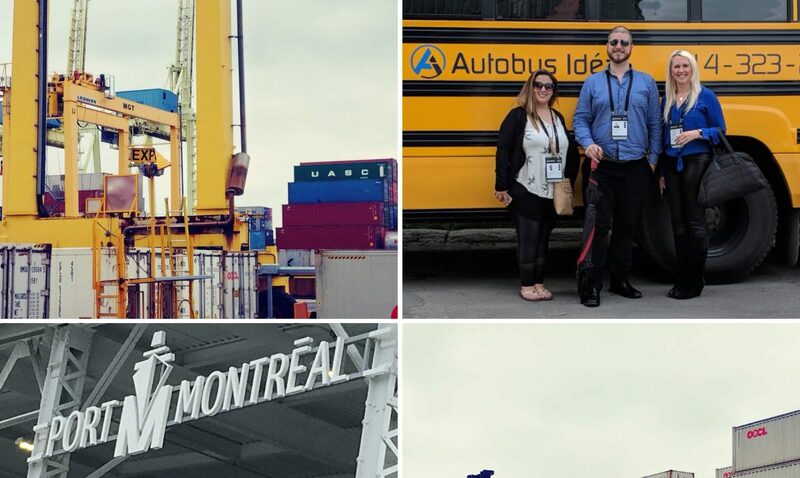 Our team could not be happier to have attended Movin’On. 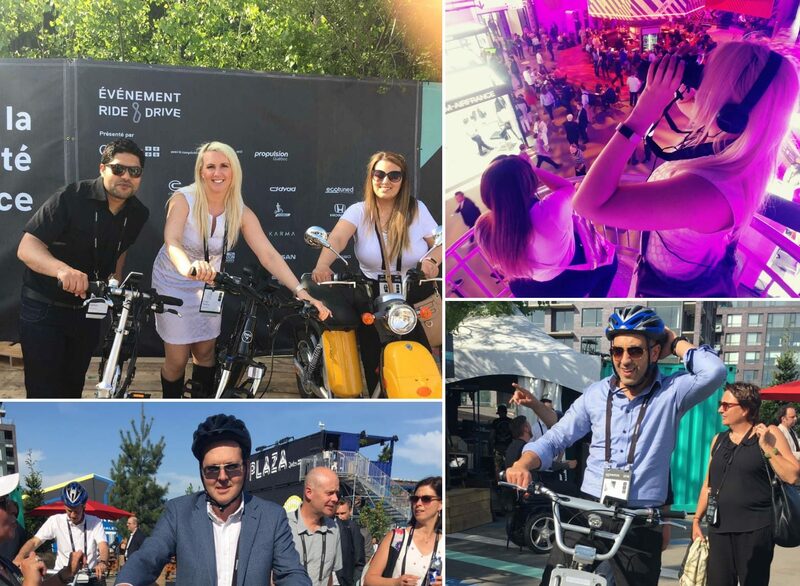 Movin’On brought together some of the most forward-thinking experts in the new mobility revolution. Developing a new transportation network and employing clean technologies are at the forefront of said revolution, and consumers and businesses alike will benefit from the advancements Movin’On has shone a light on. 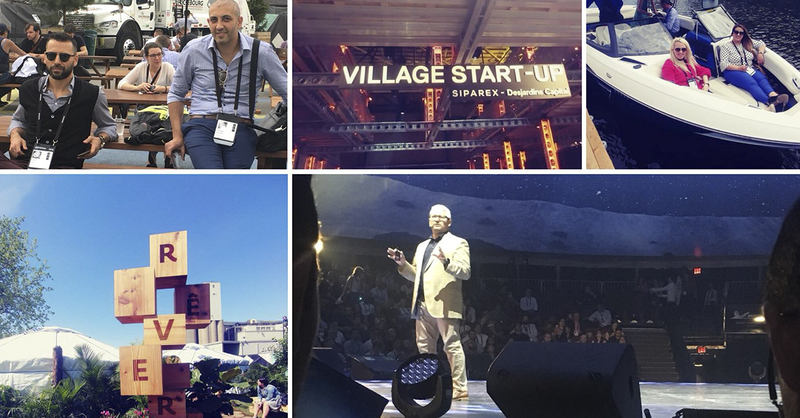 These last three days have inspired and motivated our team, and we can’t wait for next year’s edition. TRANSTEX is attending Movin’On and inspiration abounds! Our team got to hear some of the greatest minds share their knowledge on AI, smart cities, blockchain, sustainable energy and more! Only one more day to go and we can’t wait to see what Movin’On still has in store! 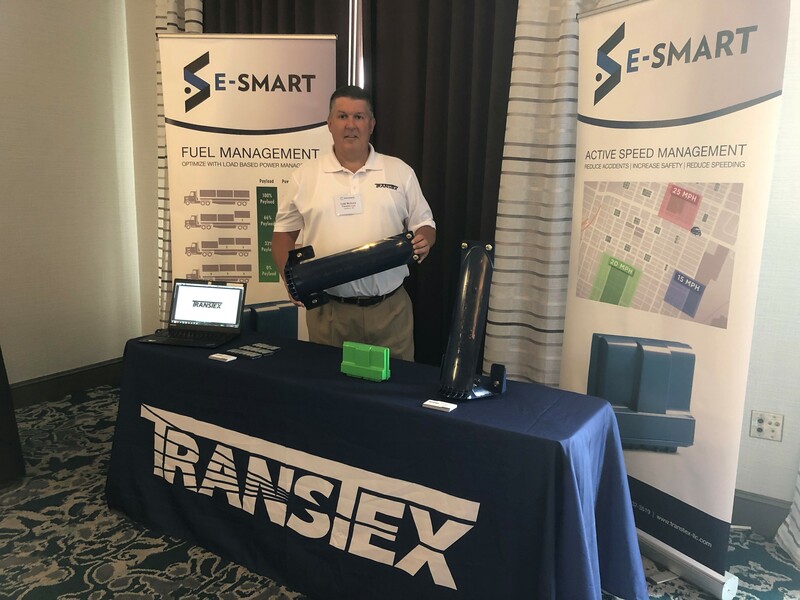 TRANSTEX At the 2018 Corcentric Private Fleet and Carrier Maintenance Meeting! It’s Day 3 of the 2018 Corcentric Private Fleet and Carrier Maintenance Meeting and Todd McGuire and Doug DeJong would love to chat with you! Ask them about E-SMART, TRANSTEX LLC’s Fuel & Speed Management Solution. They’ll gladly share their extensive knowledge with you. 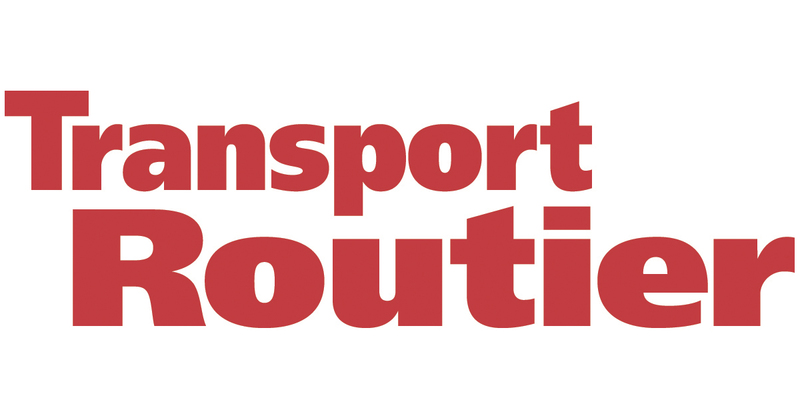 TRANSTEX LLC recently appeared in an article by Transport Routier! Featured in the article is E-SMART, TRANSTEX’s Speed & Fuel Management Solution. It’s Day 2 of the 2018 National Private Truck Council Annual Conference and Dan Crowder and George Bassily are ready for you at booth #424! Ask them about E-SMART, TRANSTEX LLC’s Fuel & Speed Management Solution. They’ll gladly share their extensive knowledge with you.